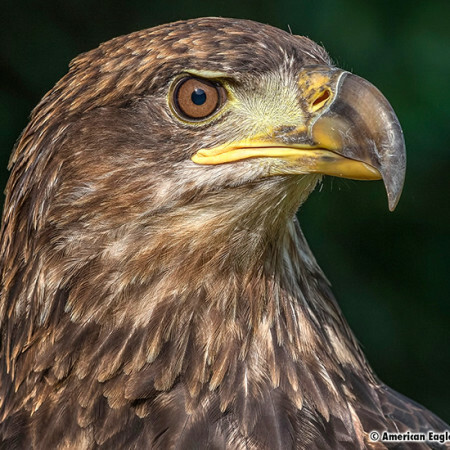 Independence & Franklin are permanently disabled, non-releasable Bald Eagles that were both shot in their left wings by poachers in Alaska and then transferred to the American Eagle Foundation in Pigeon Forge, Tennessee to be forever cared for. 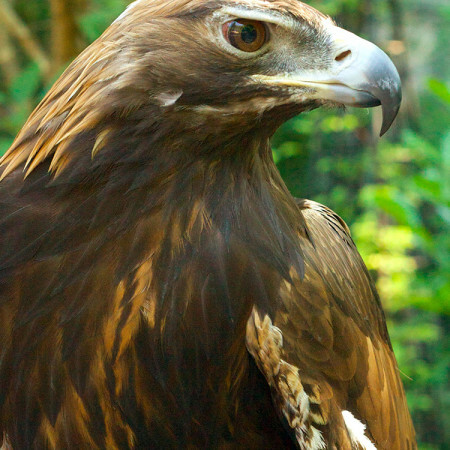 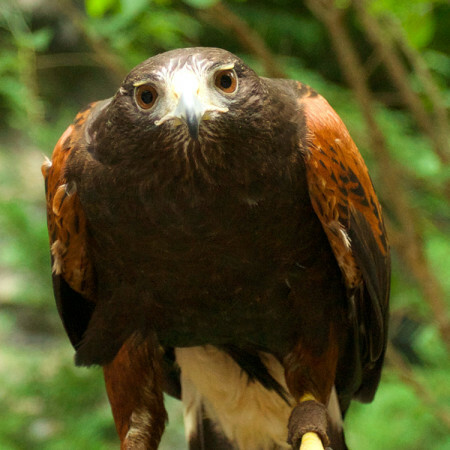 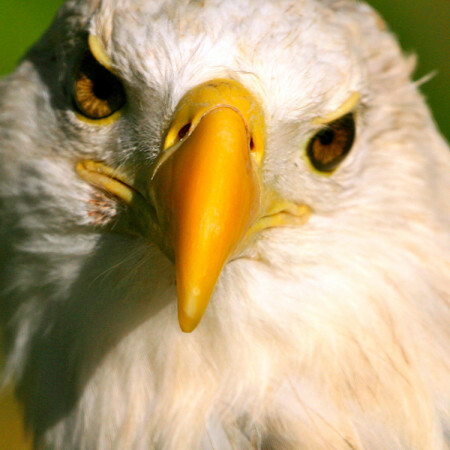 In April 2000, they chose each other as mates in captivity and were given their own nesting space inside Eagle Mountain Sanctuary an enormous naturally landscaped outdoor aviary located next to the ‘Wings of America’ birds of prey show at Dollywood. 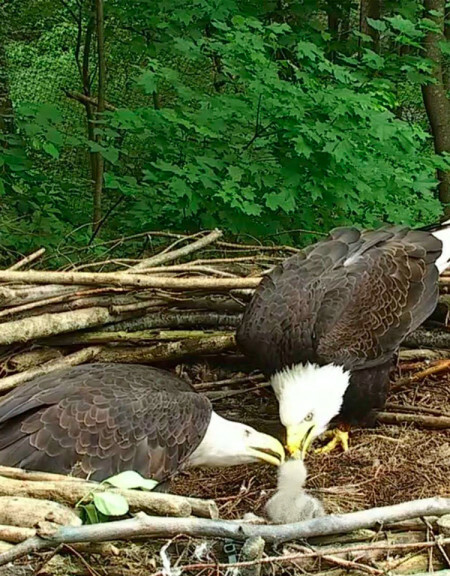 Approximately two dozen other Bald Eagles reside in the Eagle Mountain Sanctuary as well. As of 2015, Independence & Franklin have successfully reared 30 eaglets, all of which have been released from our hack tower on Douglas Lake.